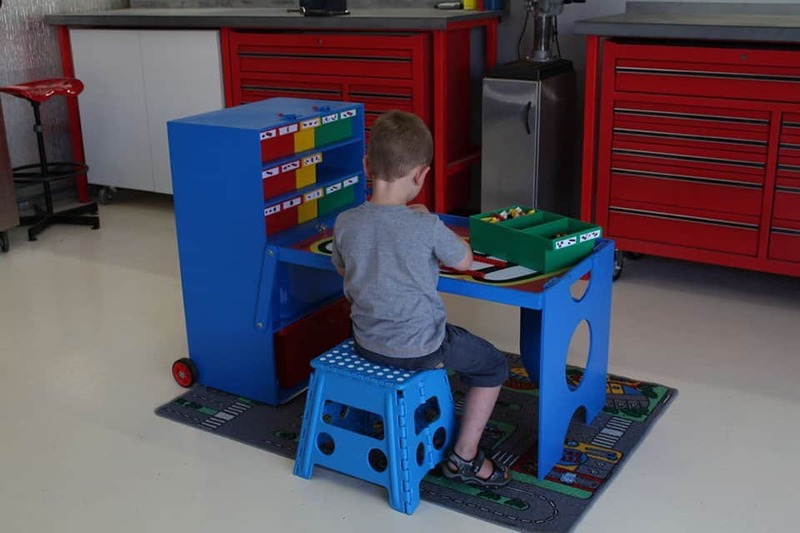 Tez Gilmer is clearly aware of the current trends in popular culture which is why he built his child a portable Lego building station. The cabinet is made out of plywood and stylized using 3D printed lettering. He even made a matching stool to go with the set. Lyle Pemble is one of those lucky few children who asked his dad the question – “Why don’t we have a roller coaster in our backyard?”, and actually got one for asking. His dad spent 3,500 dollars and 300 hours on the project, but it looks like it was worth the effort. 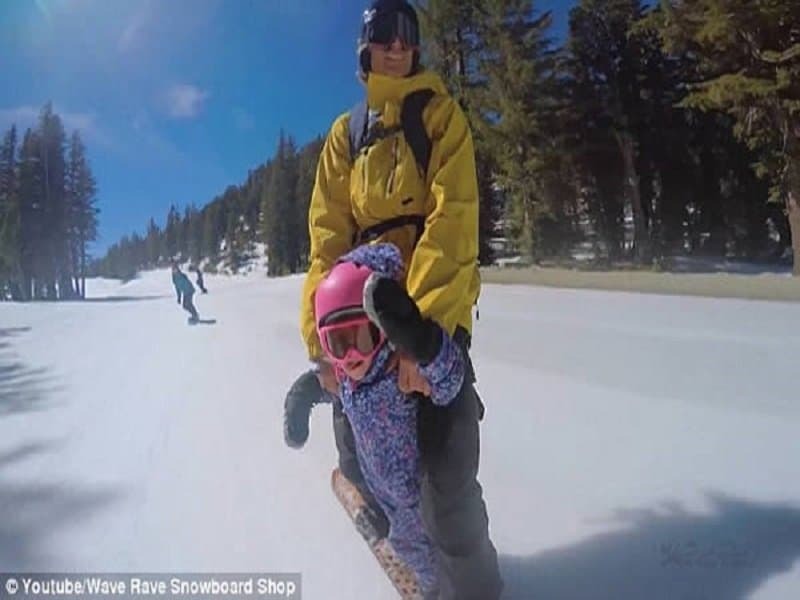 Steve Klassen is an snowboarder from Mammoth, California, who decided to take his daughter for a tandem snowboarding ride on her third birthday. Most children just get a boring cake and clown for their third birthdays. Some dad’s can be quite ingenious in creating some amazing things for their children. 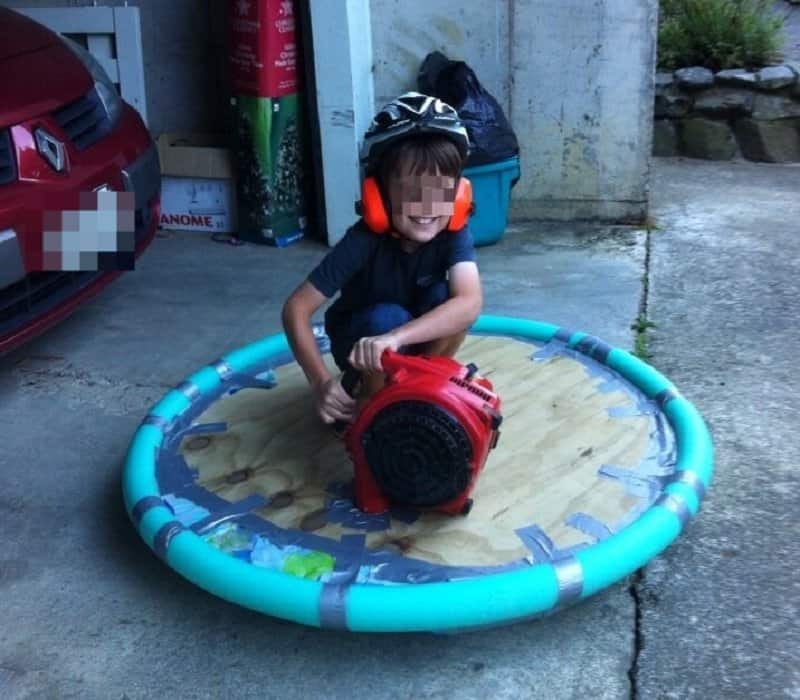 This dad actually managed to build a hovercraft from scratch for his son and even put up the blueprints of the machine online. You know this kid is going to have all the girls swooning over him when he pulls up on a hovercraft. You probably think you are a cool parent because you tolerated watching an average animated movie for the sake of your child. 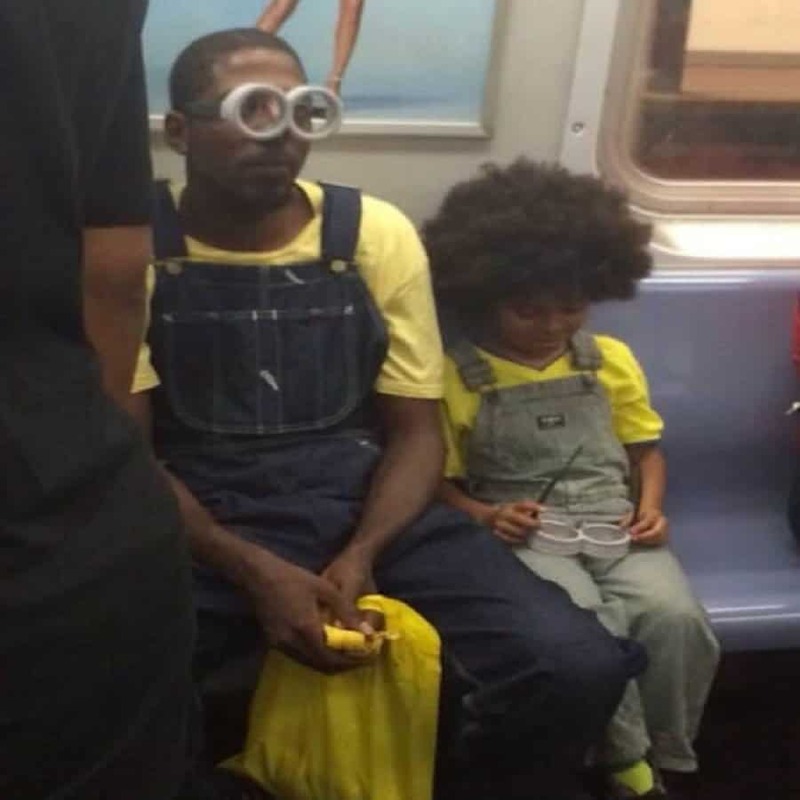 A real cool parent actually dresses up like a minion when taking his kid to watch the ‘Minions’ movie. 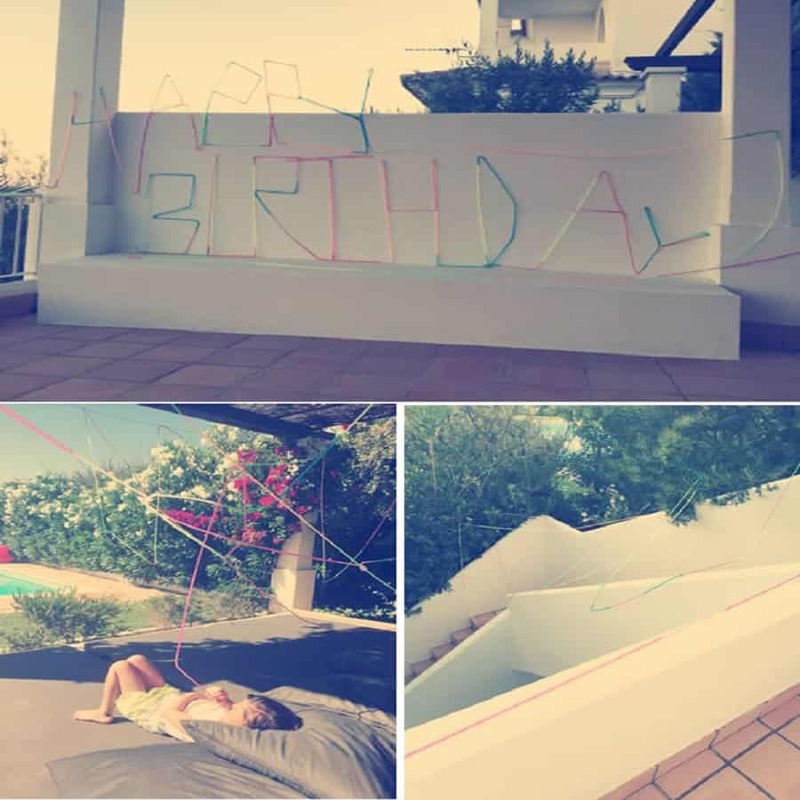 This dad decided to do something special for his daughter’s fifth birthday, so he actually built a 50 meter long crazy straw just for the occasion. Not only was the crazy straw extremely long, it also spelled out ‘Happy Birthday’ in the process. Winter can be a really fun time as a child, especially because you can indulge in so many activities which you can never do during the rest of the year. 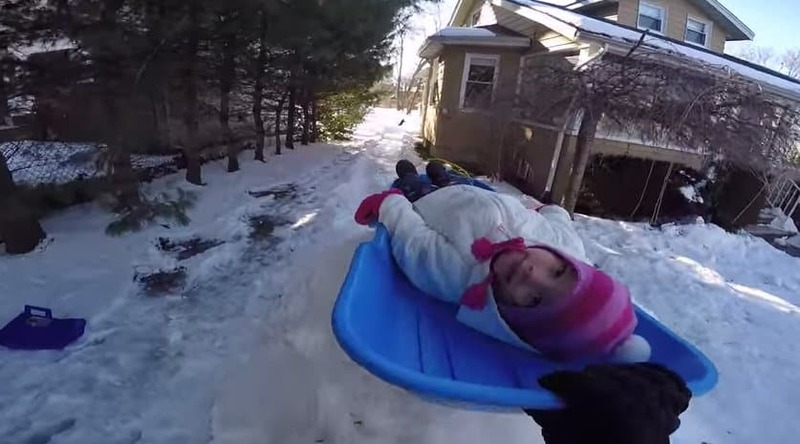 Jay Venini, a dad from Long Island decided to make a large, high-speed ramp for his children so that they can go sledding in their own home. Talk about an early Christmas gift! Layla Grubb is a one year old baby who is unfortunately dealing with cataract in one eye. 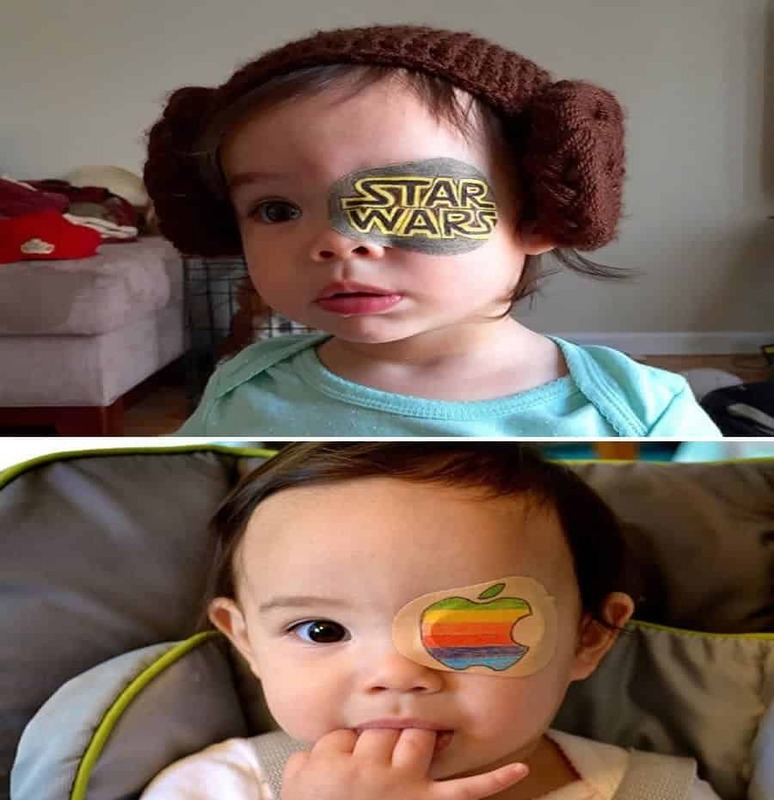 Her dad decided to make things a bit more fun for his baby by creating some cool and fresh eye patches for her everyday. 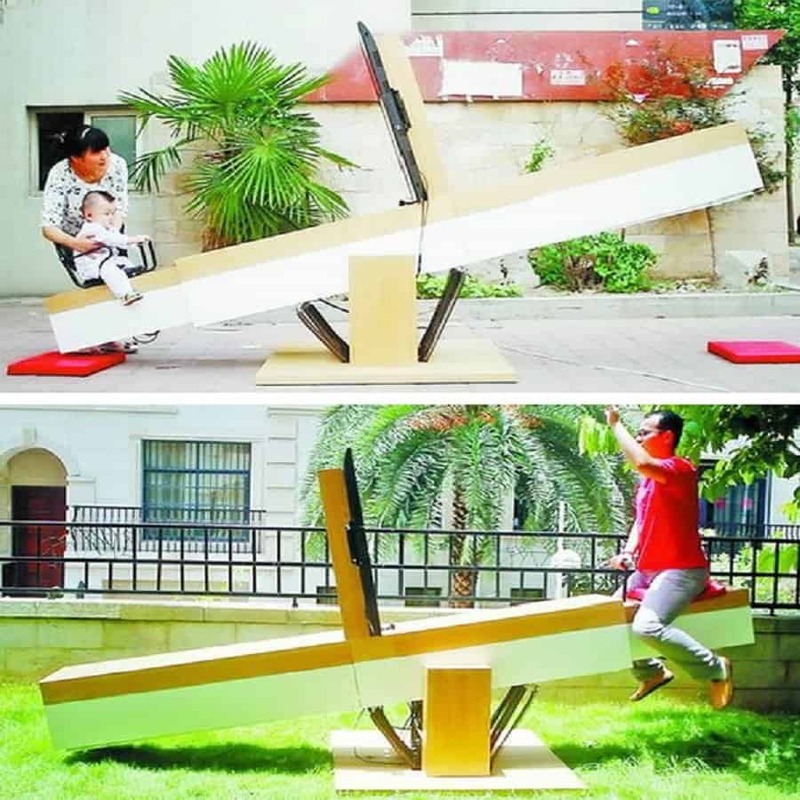 Liu Haibin is being hailed as one of the coolest dads of all time, after he built what is being called ‘the world’s longest see-saw’. Liu actually built two separate see-saw’s, one placed in Tengzhou City, where his wife and child live, and the other in Xiamen City, his place of work. The see-saw’s work through motion sensors that relay signals using wireless internet, so every time he pushes downward on the see-saw, his child is elevated on the other end of the swing. This is truly a genius and personal way of staying in touch with your child when you are away at work. Jett, a one year old from America, is learning to skateboard at a very young age thanks to his dad. 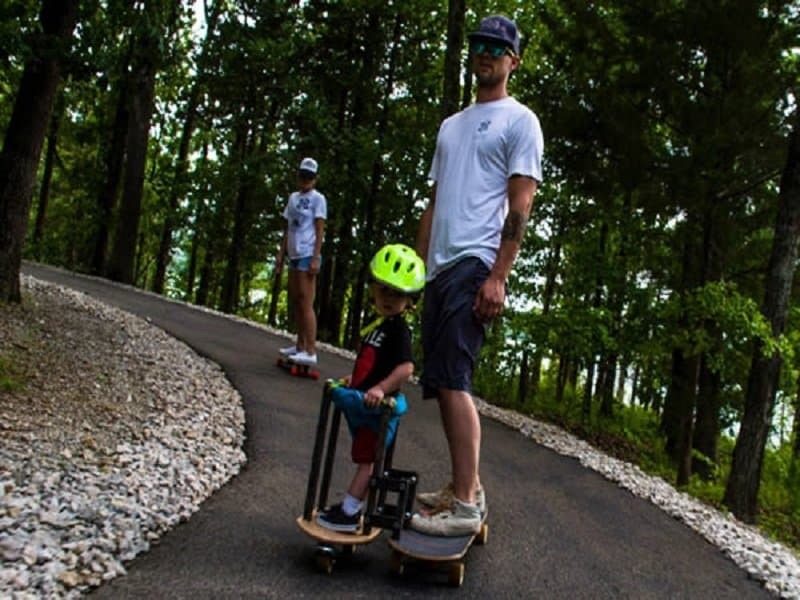 His father, Jared, actually built a sidecar attached to his skateboard so that Jett could come along whenever he wants to.